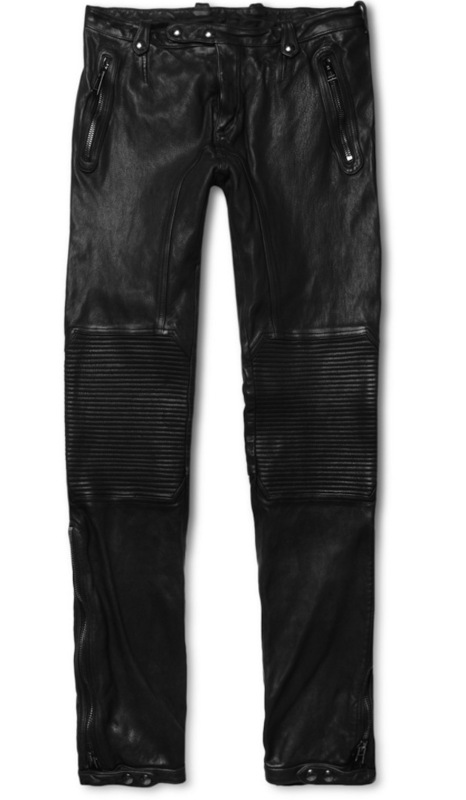 Belstaff’s new Telford Leather Pants are sleek and polished, but still capture the essence of the true rugged biker. The slim-fit pants feature stud fastening at the waist, four zipped pockets, and press-stud belt loops. The most notable parts are the ribbed knees, and ankle zip and press stud fastening detail ($2,450).